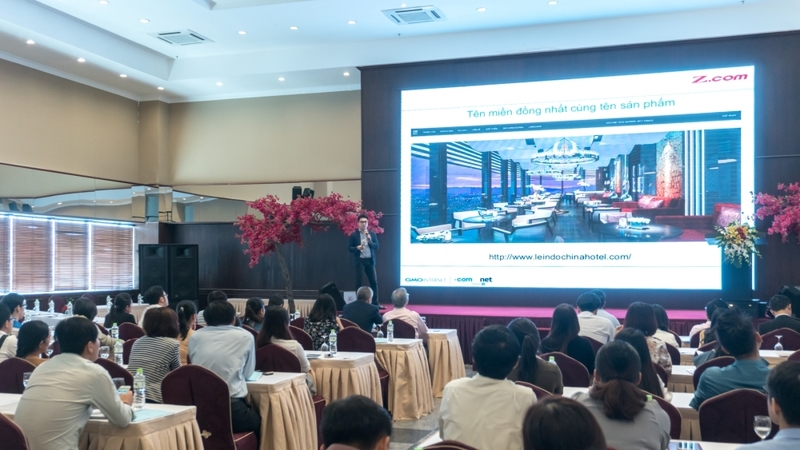 (VEN) - In order to support businesses through providing updated information about the market and new e-commerce trends as well as sharing experiences and solutions for brand management, the Vietnam E-commerce Association (VECOM) has organized the workshop "Brand Management and Online Business Promotion" in Da Nang. 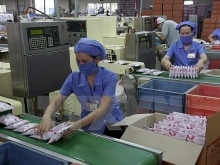 The workshop attracted a large number of VECOM members and businesses in Da Nang desiring to participate in this potential business. Building a brand requires a lot of effort and investment over the years. But besides branding, brand management also requires no less effort and money. During the workshop, experts shared their experiences and the trends in initiating identity and protecting brand when conducting the online business as well as emphasizing the benefits of owning a domain name that is consistent with the brand identity and domain administration. VECOM assumed that the domain name is not just an Internet address but it is closely linked to the business and brand of the business. Mr. Nguyen Thanh Hung - President of VECOM said: "In 2016, VECOM has implemented many activities to raise awareness of the meaning of the domain name. The choice of domain name should be associated with the business development strategy of the business, especially when the business aims to do business on a global scale. VECOM continues to pursue the goal of "every business owns a website" and launch community awareness activities on the meaning of domain names in the digital age". Although there are now many domain options, .com is still one of the most standard domain name recognized in the online identity of businesses, with 129.2 million domain names registered worldwide until the end of Q2 2017. According to VECOM survey, last year in Vietnam, the domain name .com is registered the most, followed by .net. Surveys show that enterprise's investment in .com is very small compared to its significant effect on branding. With the popularity of the domain name that is internationally recognized, .com has a great appeal, a high level of brand recognition, and attracts customers not only in the domestic but also in the cross-border markets, offers many opportunities for Vietnamese companies to reach the global scale. Mr. Tran Duc Tam, Head Representative of Z.com Vietnam, one of the leading domain name providers in Vietnam, shared: "Choosing a suitable domain name is the first step to building a trusted and successful online presence. Using a reliable domain name extension will help your business win the trust of its customers. For this reason, we encourage businesses to use .com domain as this is the most standard domain name recognized internationally for online business operations. Once a business establishes a brand name with a .com domain, it can reach larger markets, and be chosen by customers not only within the country but across the border".